Scattered throughout the bone marrow of lupus patients are dead stem cells that deteriorate the crucial process of forming red blood cells. Yesterday, the University of Florida announced that one of its researchers has received a three-year, $300,000 grant from the Lupus Research Institute to study this phenomenon using new modeling technology. She hopes to use this technology, which recreates bone marrow in a three-dimensional model, to determine why these cells are dying. Bone marrow should be a cell factory where adult supporting stem cells, called mesenchymal stem cells, help regulate the formation of blood cells. In the pockets, or niches, of bone marrow are these mesenchymal stem cells as well as other types of cells, including hematopoietic stem cells that can develop into red blood cells and other blood cells. But in patients with the autoimmune disease lupus, this process has gone awry. Their mesenchymal stem cells (MSCs) are dying, severely affecting the normal development of hematopoietic cells into mature blood cells. This can result in anemia, low platelet counts and other blood disorders. “Without healthy niches, the bone marrow cannot make normal blood components. When you stain lupus patients’ bone marrow for dead cells, it is dramatic. In contrast to normal people, most lupus patients’ bone marrows are full of dead cells. Twenty, 30, 50 percent of their cells are dead.” said Lijun Yang, M.D., an associate professor of hematopathology in the UF College of Medicine. Yang’s grant will enable her to study the dysfunction of these bone marrow niches. She will examine the role of stem cells, particularly those of MSCs, in cell death. “The bone marrow really has been neglected in lupus research,” said Westley Reeves, M.D., Yang’s collaborator and chief of the rheumatology and clinical immunology division in the UF College of Medicine. Typically, to study bone marrow stem cells, researchers put the cells into a tissue culture flask. The stem cells settle into a layer, where researchers study them two dimensionally. But this doesn’t take into account how the cells interact with each other inside the three-dimensional structure of the bone marrow niches. "This is where Yang’s lupus research is particularly innovative." said Reeves. She is using three-dimensional models of the bone marrow to study stem cells. “These cells have multiple interactions, and the best way to model those interactions is to try to set up the culture as close to the bone marrow as possible. This is a new technology that has arisen for purposes completely outside of studying bone marrow in lupus. It’s been used to study bone marrow niches, but hasn’t been used to study pathological conditions affecting those niches.” said Reeves. The culprit in cell death could be a protein that white blood cells in the bone marrow of lupus patients secrete in high quantities. This protein, called tumor necrosis factor, is an immune protein that causes inflammation and programmed cell death – more so in lupus patients than in healthy people because lupus patients secrete the protein in higher quantities. But when cells die, they release a material that causes white blood cells to make more tumor necrosis factor. “It’s a chicken-or-egg kind of phenomenon: We don’t really know which comes first, the cell death or the tumor necrosis factor. Hopefully Dr. Yang’s project will help unravel that.” said Reeves. The researchers hope to examine the role of tumor necrosis factor in cell death and therefore its role in causing anemia and other blood disorders that plague lupus patients. The researchers also hope to figure out why lupus patients’ stem cells cannot be effectively used in a bone marrow transplant. 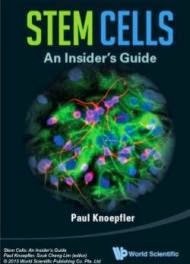 "The current treatment for patients with blood-related diseases is to extract the patient’s own stem cells or use stem cells from donors, kill the patient’s own bad and normal cells with a high dose of chemotherapy and then replace the problematic cells with the patient’s own stem cells or stem cells from a healthy donor." said Yang. These stem cells settle back into the patient’s bone marrow and begin producing new blood cells. If doctors use a patient’s own stem cells, they can reduce the window of time during which the patient has no white blood cells or antibodies—thus no ability to fight off infection. However, lupus patients’ stem cells do not function properly when transplanted. Yang thinks this is because there is something wrong with the stem cells themselves. 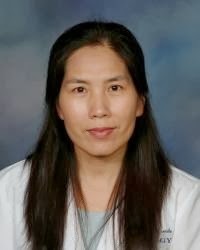 “We think lupus patients have abnormal mesenchymal stem cells, and that this may have important implications for bone marrow transplantation in lupus patients" said Yang.